The Nilgiri Mountain Railway (NMR) is a 46 Km long 1000 mm gauge railway connecting Mettupalayam (1069 ft) to Ooty (7228 ft). 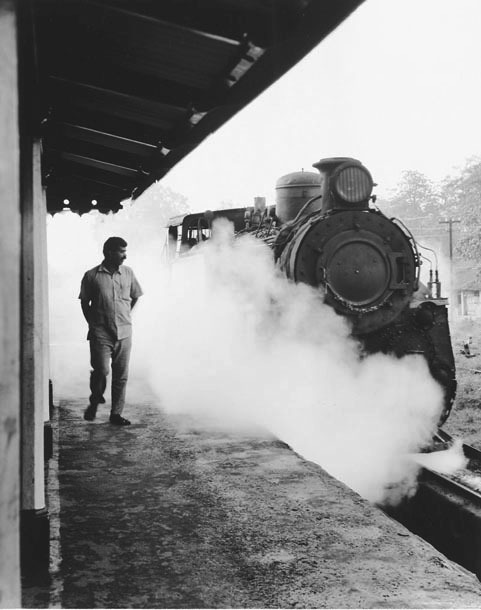 Its first section upto Coonoor was completed in 1899 by the Nilgiri Railway Company and was extended to Ooty in 1903. In those days it served as a popular getaway from the sweltering heat of the plains for the British in India. Even today it is a popular hill resort attracting hoards of tourists. This rail system is unique - it is the steepest one in Asia ( the steepest gradient is about 1in12). In combination with this gradient there are curves as sharp as 18 degrees! To overcome this incline it uses a unique ABT(Alternate Biting System) commonly known as `rack and pinion' rail system and curiously the name of the inventor is also Michael Abt! In this system, between the two conventional rails, there are two rack bars, out of step with each other, on which the pinions of the locos & coaches 'climb' in a similar manner as a person climbing a ladder using his feet alternately. Against the convention of the engine leading the train on level lines, here the engine is pushing the train from behind when ascending and is in front stopping it from running amuck when going downhill. The main incline between Mettupalayam to Coonoor is a continuous gradient where the rack system is used. After Coonoor until Ooty the gradient is relatively eased (this section is now worked by YDM4 diesel locos). 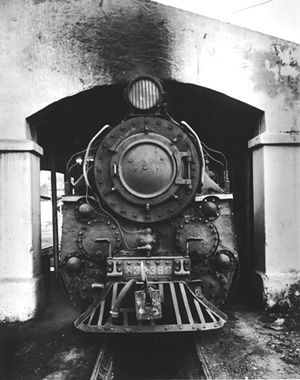 Steam locomotives have been the motive power here since the inception of the line in 1899. Presently all traffic on the rack section is in the able hands of eight X class locomotives built by SLM of Switzerland.These are compound locomotives having four cylinders instead of the conventional two. 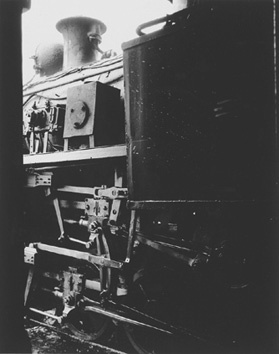 The main cylinders use high-pressure steam and drive the wheels of the loco whereas the smaller cylinders using low-pressure steam drive the rack system. The youngest X class loco is over 50 years old and the oldest is 80 years old against the average of 25 years working life of a steam loco. 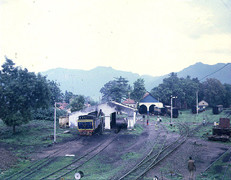 Mettupalayam yard with Nilgiris as a backdrop. This is the only operative rack rail system in Asia. Portait of an X Class. Negociating a viaduct in the midst of thick forest. Thats a lot of steam! !